The stricken cargo vessel was carrying hundreds of cars, among them some very valuable 911s. The Porsche GT2 RS is the most extreme road-going interpretation of the iconic 911 ever. Sending 700 horsepower to the rear wheels it requires real skill to extract the best from it and that is just the way it should be. Production numbers are limited for these models and of which only 1,000 are estimated to have been built. According to , that may be about to change though as a cargo ship named Grande America caught fire off the coast of France on March 12, and sank in the Bay of Biscay not long after. Thankfully there have been no human casualties but an oil spill from the vessel may still threaten some nearby areas. The ship was also carrying a number of cars in containers bound for Brazil. 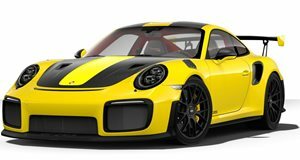 Audi has since confirmed that a number of its A3, A5, Q7, RS4 and RS5 models had been lost but the car we are most concerned about is the GT2 RS that also went down with the ship. Porsche has not yet commented on whether they had any cars on the vessel but various sources from Brazil say that at , as well as another 33 Porsches including Caymans, Boxsters and Cayennes, were part of the shipment. Now usually and the cars would be replaced in due course, that has just ceased manufacture? A letter sent by Porsche Brazil to a customer may have the answer, and it also confirms that here were indeed some of Zuffenhausen’s finest on board the ship. The letter states that the GT2 RS was indeed lost due to a fire on the ship and that while production had ended in February 2019, they would resume GT2 RS production to be able to deliver a new car to the customer by June. If that isn’t superb customer service, then we don’t know what is. While the letter does state that this particular customer was loyal and ‘highly valuable’ to the brand, we can only assume that there must have been at least a few more GT2 RS models that perished in the accident for Porsche to go to the trouble of restarting manufacture. Now, time to see how much it would cost to rent a submarine for a weekend and get some of those Porsches up from the sea bed.